Thinking that in my ten years of writing about wine and spirits, I must’ve set some goals, written them down and shared them in past articles. Did a quick Google search and found yea, sounds familiar as I did it once, just last year, in the column titled: Why Not Have…Drinking Goals for 2018? And No, it’s not too late to set them! So I gave my 2018 article a gander, to see how many of my goals were met, to see if I should even attempt goals for 2019. The first goal, to learn about Mezcal, wasn’t a complete failure as I got to taste at least one in 2018. So that goal has a continuance for this year. I also went to more wine bars this year…or maybe I should say visited one wine bar more: Newhall Press Room. So that goal was partially met. But I still need my WSET Level 2 in spirits to be offered hands on as online classes are still the only type being offered. So I may have to give in on that goal, bite the bullet and try the online course this year. Didn’t make it back to Utah or Denver for more spirits, but I did make it to SCOTLAND for plenty of Whisky! Attended the tastings and classes at the Universal Whisky Experience in Las Vegas – which we plan to attend again this year in April. As the West Ranch Beacon* website shut down earlier this year, removing me from one weekly column commitment after about a decade, I thought I should look around for something new. 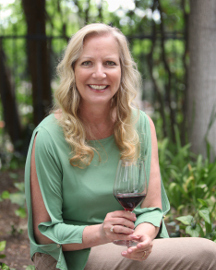 I can add more Eve Bushman Consulting Clients – so if you own a bar, restaurant, winery or wine bar and need some marketing ideas email me at Eve@EveBushmanConsulting.com. My business partner Michael Perlis and I have been successfully consulting and marketing for our clients for many years now. So, those these new goals aren’t drinking goals, they all still involve the industry I’ve been involved with for over 10 years. I’m not going anywhere! 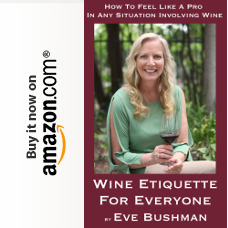 Regardless of what I may add to my workload to make up for the closure of the West Ranch Beacon, know that Eve Wine 101 and Eve Bushman Consulting will continue as they have for many more years to come. 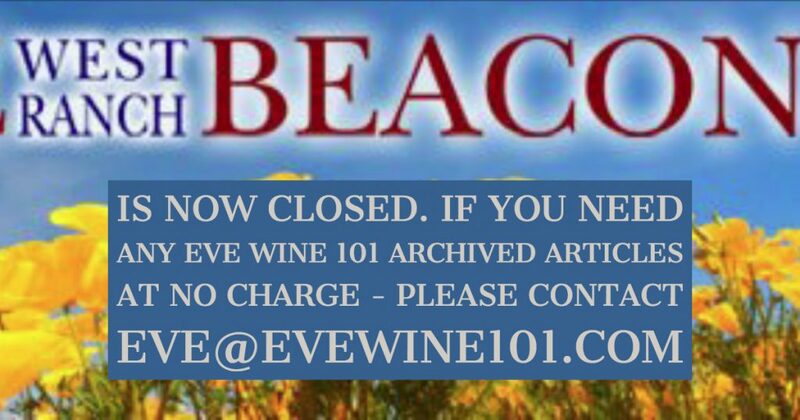 *If you hadn’t finished reading a particular article of mine on the Beacon, or are looking for my archived articles, please email me: Eve@EveWine101.com. I have all of my articles saved. 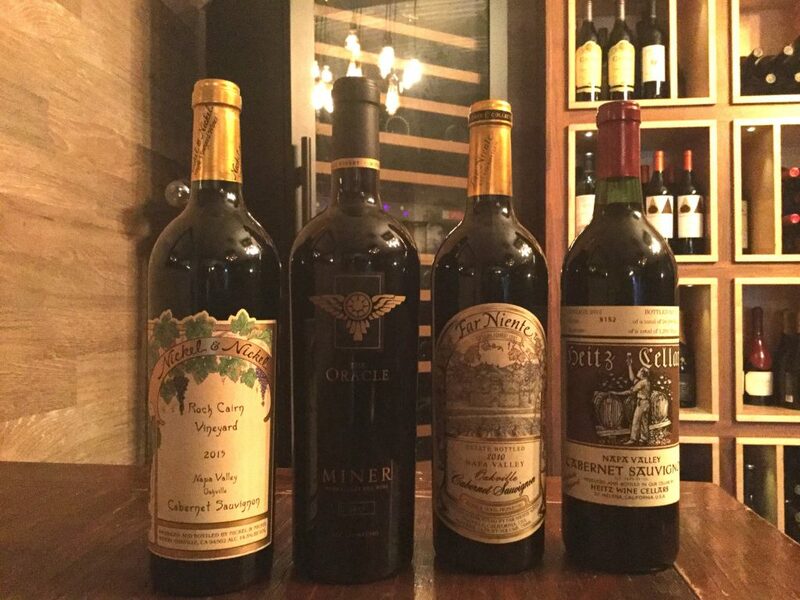 Those over three years old were shared again, under the title “Vintage Eve” on Tuesdays on https://www.EveWine101.com. Newer articles, including the last three I did in the Scotland series, I can email out as word docs to whoever wants them. These will also be re-purposed on EveWine101 on Tuesdays within the next three years. Last week I gave you an introduction to the latest Garagiste Festival held in Santa Monica. Here now are some comments about the wines Karen and I enjoyed. Ascension Cellars – winemaker Erick Allen continues to make consistently high quality wines from Paso Robles grapes. Primarily Rhone varietals, my favorites were the 2017 Siren Rose, the 2016 Enchantress Rhone White blend and the 2014 Trinity GSM blend. Byron Blatty Wines – committed to making wines sourced from Los Angeles County vineyards, owners Mark & Jenny Blatty along with winemakers Steve Lemley & Nate Hasper (more on them below) are making some remarkable wines. The two wines listed in the program were poured recently at the Wine On The Roof event in Santa Clarita, so I didn’t taste those this time. But the other two that Mark Blatty poured were excellent as well –the 2016 Agenda (primarily Syrah with a little Tannat) and the 2016 Pragmatic (Malbec with small amounts of Cabernet Sauvignon and Merlot). Caliza Winery – Carl Bowker has been making his small production Rhones in Paso Robles for about ten years now and he has certainly got it down. I tasted his wines recently at Hospice du Rhone but I did try his two 2017 bottlings this time, the Pink GSM and the Kissin’ Cousins White Rhone Blend. Both were delicious, as was my revisit of the 2013 Estate Grenache. Domane Kreger – this winery is based in Lancaster, CA and sources grapes from Santa Barbara County and Paso Robles. I really liked their 2014 Syrah and 2013 Tempranillo. Dusty Nabor Wines – Dusty not only gets my vote for coolest winemaker name but is making excellent wines in Westlake Village from Central Coast grapes. He was pouring several wines but my favorite was his 2016 Grenache from Paso Robles. Hoi Polloi Wines – Doug Minnick is not only one of the founders of the Garagiste Festivals but is one of the owners/winemakers of this winery with a tasting room in downtown Newhall. They have the distinction of making Karen’s all-time favorite Rose and the rest of the wines are pretty great too. The 2016 “Blue Velvet” Syrah from the iconic Larner Vineyard was a standout for me. Leverage Wines – Paso Robles gets a lot of love at Garagiste and here is another one, focusing on Rhones [which always works for me]. Excellent 2017 Grenache Rose and 2015 Trajectory GSM. 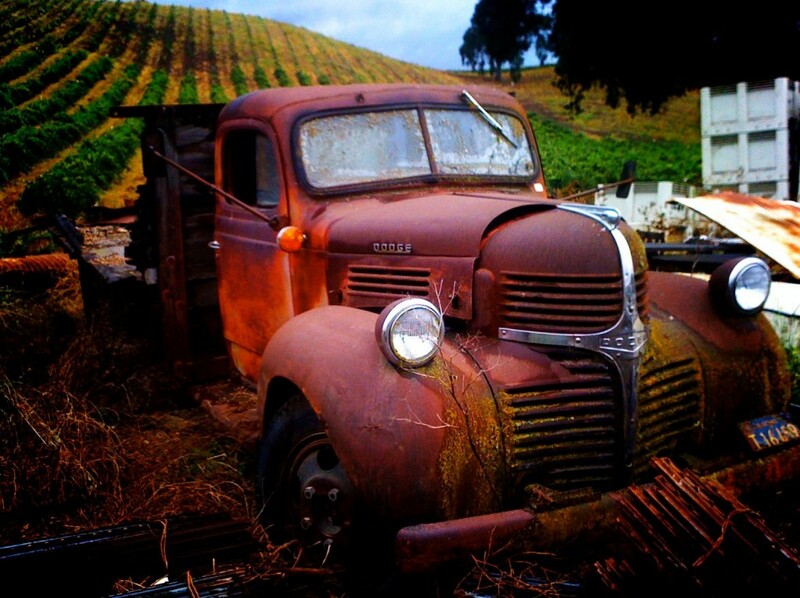 Marin’s Vineyard – This Monterey County winery specializes in Syrah and Viognier. They do a pretty nice Malbec too. We’re talking Southern Monterey County, so think Paso as opposed to cool weather styles. Mastro Scheidt – sourcing grapes from Sonoma and Mendocino counties, owner/winemaker David Scheidt makes delicious Zinfandel, Cabernet Franc as well as a Super Tuscan blend of Sangiovese and Cabernet Sauvignon. And his Cabernet Sauvignons are pretty tasty too. Monochrome Wines – I’m just going to say it: It takes balls to make only white wine in red wine country. Since I was focusing primarily on reds I almost skipped it. Fortunately, Karen insisted I try the wines. As usual…um, always…she was right. Especially loved the 2016 blend of Sauvignon Blanc and Marsanne as well as the 2016 blend of Marsanne and Chardonnay. They are pouring in Paso’s Tin City now and I highly recommend you check them out. We intend to. Pulchella Winery – the men, the myths, the legends. Winemakers Steve Lemley and Nate Hasper put the Santa Clarita Valley wine scene on the map. Not ones to rest on their laurels, they just keep getting better, especially for me the 2015 Tannat. Record Family Wines – with wines now being made by Jeff Strekas [of Onx] this Paso Robles winery is poised to break out big. The 2017 Grenache Rose was my favorite, but the others showed the capabilities of the family’s vineyard as well. Stolo Family Vineyards – based in Cambria, this coastal winery produces wines more similar to Sonoma Coast’s style as opposed to nearby Paso Robles. The 2016 Estate Syrah and the 2015 Estate Hillside Reserve Syrah were both great examples of cool climate wines. Sweetzer Cellars – An excellent example of consumers turned winemakers and named after the street they lived on in West Hollywood, I really enjoyed the 2017 Rose of Grenache as well as the 2016 Grenache from the Central Coast. 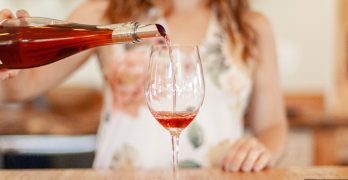 TLO Wines – good news for Bakersfield residents and those not far from there: TLO is opening a tasting room just for you. I especially liked the 2016 blend of Tempranillo, Syrah and Mourvedre as well as the 2014 Reserve Syrah. TW Fermentation Co. – I’m admittedly more of a Rhone and Zin guy, but this Paso Robles winery is selling me on Paso Cab with the 2012-2014 vertical of Straight Cab as well as their 2014 Bordeaux blend. Wildwood Oak Winery – it was nice to see some Lodi representation. Anita and Tony Matlock source their grapes from there; the winery is in Redlands. I enjoyed the 2016 “Dancing Queen” Syrah from the Abba Vineyard [get it?]. As I mentioned above, there were almost 50 wineries pouring so I if I didn’t mention a winery I probably didn’t get to it this time. Can you Find Happy Hours in Santa Clarita from SCVHappyHour.com? For those of you searching this site for our annual local Happy Hour article, we gave that up in 2017 because there is a website dedicated to all of the SCV Happy Hours in place, and we’re thrilled their doing all the work. Well, one special entrepreneur is, meet Kyle Swick. True Story – I was in-between jobs and still wanted to have a Pint and a Bite, but on a budget. I searched the Internet but could not find anything related to Happy Hours. Hence, SCVHappyHour.com I love Santa Clarita and have lived here for 30 years. I wanted to create a Happy HOUR Website for my city and it’s residents. SCV Happy Hour is your only resource for the best Happy Hours in the Santa Clarita Valley. Remember to please tell the bartender or manager you saw them on SCV Happy Hour. SCV Happy Hour is not affiliated with any of the businesses listed on this website. As specials may change, please call the restaurant or check their website before you rely on the information posted here. 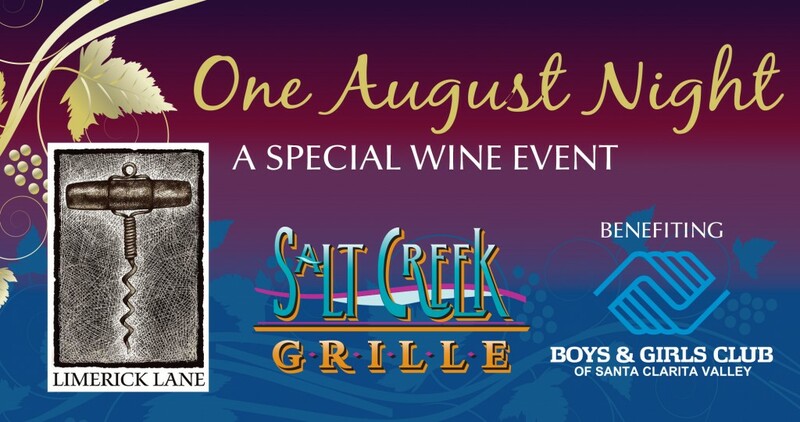 Please join Jake Bilbro of Sonoma County’s Limerick Lane in a tasting of select wines from the winery’s collection. The event will also feature exclusive auction items available only that evening. PINE MOUNTAIN CLUB, CA – Set against the backdrop of a uniquely grand outdoor space framed by lush pine trees, guests of Wine in the Pines have the unique opportunity to taste wines, enjoy the landscape, music, food and actually go home with wine they enjoyed during the tasting. The annual event – less than an hour’s drive from the Santa Clarita Valley off the Frazier Park exit of the 5 freeway – is set this year for June 9 from 1:00 to 4:00 p.m., with a VIP entry at 12:00. Proceeds from Wine in the Pines benefit the American Cancer Society. At press time winery participants include Ampelos Cellars, Arndt Cellars, Ascension Cellars, BNA Wine Group, Cass Winery, Charles Wine, Cottonwood Canyon, Enjoy Wines, Fiddlehead Cellars, Frisco Cellars, Frolicking Frog Cellars, Flying Goat, Golden Star Vineyards, Greyscale, Hoi Polloi, Indigene Cellars, JFC International, La Montagne, Madd Bailey’s, Midnight Cellars, Mountain Ranch Winery, Pagter Brothers, Pomar Junction, Quady, Ranchita Canyon Vineyard, Sagebrush Annie’s, Stephen Hemmert Wines, Tobin James, Turiya, Vina Sympatica Sparkling Wines, Vinemark Cellars and Workman Ayer. Wineries from the popular Lompoc Wine Ghetto will again be set up in the Pine Mountain Club’s Village Gazebo. Wolf Creek Brewery, Tioga Sequoia Brewing Company, The Great Beer Company, Firestone and Stella Artois are the craft beer breweries also signed up so far, while returning popular food vendors include Big Mike’s Ragin BBQ, Brazil’s Gourmet Hot Dogs, La Lena Mexican Restaurant, Madd Bailey’s Pub and Grub and Wolf Creek Restaurant. In addition to the wine, beer, food and lifestyle vendors there is always live music for guests to listen to, or if the mood strikes, dance to! The Wine Room Gallery Wine Bar in Pine Mountain will be open on both Saturday and Sunday from 12:00 to 6:00 p.m. and guests will be able to purchase and take home some of the wines they tasted at the festival. Tickets and information: www.WineInThePines.com, 661-242-8810, thewineroomgallery@yahoo.com and Facebook. All guests must be 21 or over. Ticket prices are $55 in advance and $70 at the door for general admission $80 for VIP tickets that allow an early entry to the event at noon. Both ticket levels include the wine and beer tastings and a wine glass to take home. There are no VIP sales day of event. Lastly, besides ticket sales and a winery sign-up, there is information on cabins available for rent on the website: www.WineInThePines.com and a Holiday Inn located nearby. 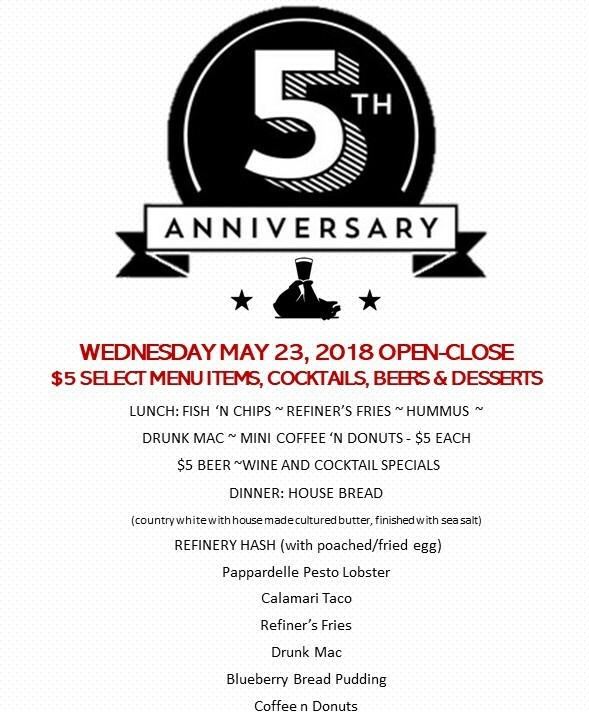 Newhall Refinery 5th Anniversary Celebration With $5 Specials: 5 Years of Menu Favorites Available Until Sold Out. Lunch selections include the Refiner’s Fries, Hummus, Drunk Mac, Fish ‘N Chips, Mini Coffee ‘N Donuts for your $5 dessert as well as Beer and Cocktail Specials. Dinner will have their House bread – a Country white with house made cultured butter finished with sea salt; from their Brunch – Refinery hash with poached/fried egg; From Taco Tuesday – they will offer a Calamari taco avocado radish; Water flower Wednesday will be the Papardelle Pesto Lobster; as well as Refiner’s Fries, Drunk Mac, Blueberry Bread Pudding and Coffee ‘N Donuts – again all until they run out! 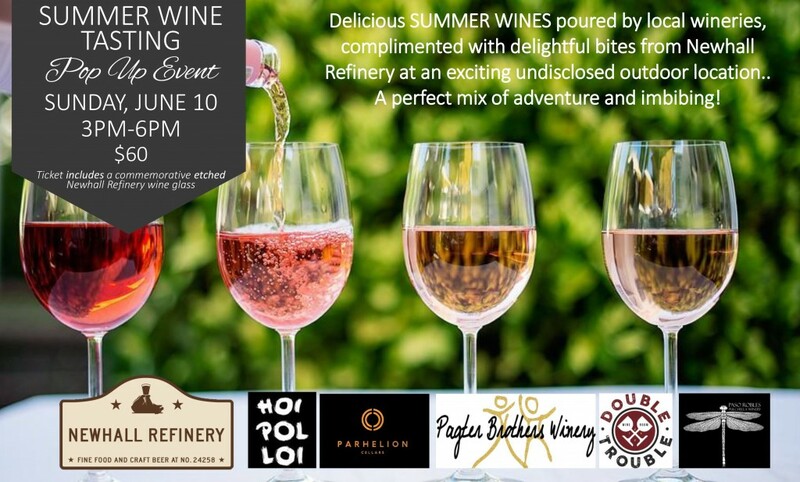 Local wines, accompanied by delicious Summer Wine Selections by Newhall Refinery, to give guests…the perfect mix of adventure and imbibing! Ticket includes entry, a commemorative etched wines glass, food and wine! Their Special Events Menu created by Chef Dustin Boole offers several options for a private affair in The Cellar for you and up to 49 of your pals. Apparently you Santa Claritans and wonderful supporters of local charity have demanded, yes demanded, more than one rooftop event from the people (see below) that have brought you Cocktails on the Roof. Your loud cries for us to keep your glass filled have been heard. We have now added Wine on the Roof to your calendar May 17! The community came out in force for our signature event, Cocktails on the Roof, three sold out years in a row. 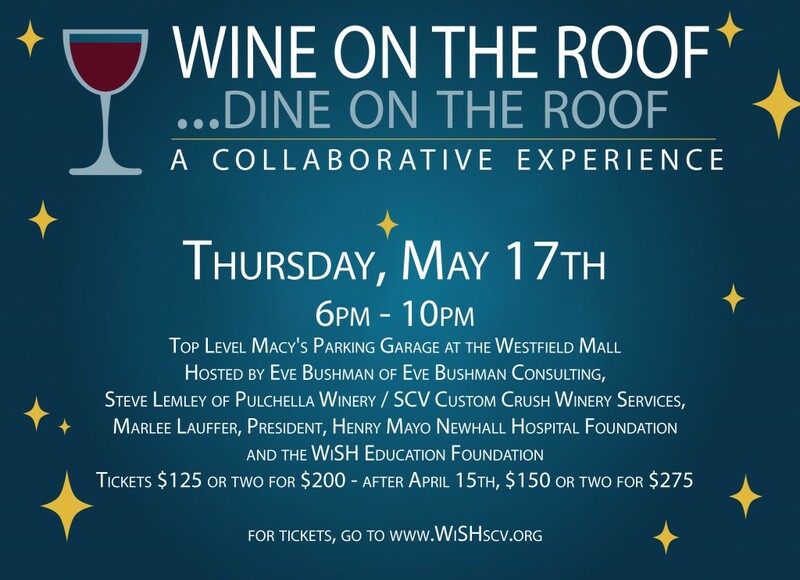 With encouragement to do a second event during the year, this one with wine as the focus, we teamed up once again with Eve Bushman of Eve’s Wine 101 and Marlee Lauffer, President of the Henry Mayo Newhall Hospital Foundation, for Wine on the Roof. This gathering promises to be like nothing else offered in our region. With beautiful lighting, music, photo opportunities and more, we will welcome our guests to a remarkable, one of a kind special evening that people will not soon forget. This evening promises to be like nothing else offered in our region. Eve has teamed up with Steve Lemley as our co-host for this unique event. Lemley is a well-respected SCV winemaker that co-owns the SCV Custom Crush Services. Lemley will curate our wines from his local facility that houses over twenty different wineries – most, if not all, will be making their debut that evening – and we will have winemakers seated throughout the venue to allow for interesting and knowledgeable discourse. Wine on the Roof has a distinctive layout to allow for camaraderie and conversation and you will be treated to a multi-course dinner. Because this is seated dining, a limited number of tickets are available. The event is open from 6-10pm and ticket pricing is set at $125pp or 2/$200. Please note that after April 15th, ticket pricing will be $150 or 2/$275. More information is available and tickets can be purchased at www.WiSHscv.org. As we are just putting together our puzzle pieces of which chefs wants to provide which course, Steve and I will be tasting wines with them – if they like – in an effort to help with the food pairing. So far we will have Chef Daniel Otto’s debut from his soon to open restaurant, Chef Lucio Teraza of Olive Terrace Bar and Grill, Chef Ignacio “Nacho” Munoz and Pastry Chef Kristina Waggoner of Salt Creek Grille, Chef Louis Pechan of Hundred Miles LA, the Culinary Team at Bonefish Grill, Chef Trevor of the Newhall Press Room, Pastry Chef Meghan Launier of Wolf Creek Restaurant and Brewing Company, the baristas of Honu Coffee, the sweet makers from Nothing Bundt Cakes and the Beams of Sweat Beams Ice Cream. We will definitely be starting our evening with appetizers, then bread from the one and only infamous Speakeasy Bakery, mains, dessert – all with wines from winemakers exclusive to Pulchella Winery. Santa Clarita winemakers at press time include Steve Lemley, Nate Hasper, Mark Blatty, Scott Page-Pagter, Doug Minnick, Ted Behlendorf and Dan Erland Andersen. Besides the names of our co-hosts listed above this event is orchestrated by countless volunteers (thank you) and an energetic committee that sometimes takes up two dining room tables at my house: Ed Masterson, Richard Cohn, Alex Hafizi, Lynne Secrest, Judy Penman, Lisa Holt, Mitch Russell and Dawn Begley. ROSE – Exclusive (1) $15,000: SIX tickets and first mention in all press releases and social media marketing; we will promote you prominently as the PRESENTER of the event on event signage; listing on website as Presenter; mention in print advertising. VIOGNIER $10,000: FOUR tickets and mention in all press releases and social media marketing; we will promote you on event signage; listing on website; listed on print advertising. Email marketing included to approximately 35,000 emails. CABERNET $5,000: FOUR tickets and mention in all press releases and social media marketing; we will promote you on event signage; listing on website. Email marketing included to approximately 35,000 emails. 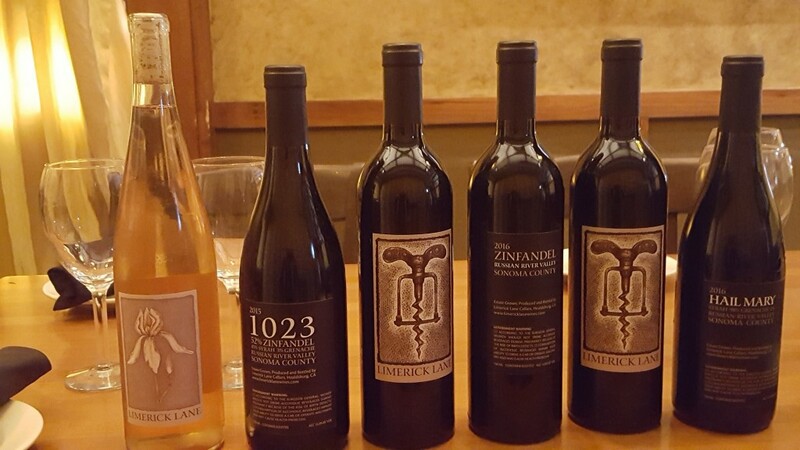 ZINFANDEL $2,500: TWO event tickets and mention in all press releases and social media marketing; we will promote you on event signage; listing on website. Email marketing included to approximately 35,000 emails. PINOT NOIR $1,500: TWO event tickets and mention in all press releases and social media marketing; listing on website. Email marketing included to approximately 35,000 emails. Please contact Exec. Dir. Amy Daniels: wish@hartdistrict.org for current sponsorship opportunities. Tickets go up in price after April 15th so get them now – only 200 will be sold! Save the date: Cocktails on the Roof 9/7. “WiSH was founded in 2011 by parents and partners of the community to directly support the students and staff of the William S. Hart school district and are a designated 501c(3) non-profit foundation. WiSH raises critically needed funds to directly support students and educators in our District…money for much-needed technology, special education and technical programs, materials, books, software, musical instruments & calculators, just to name some recent initiatives. We’re not funded by any local, state or federal agencies and rely on contributions, grants and sponsorships to bridge the ever-widening gap of student’s needs directly in classrooms…” read more here.